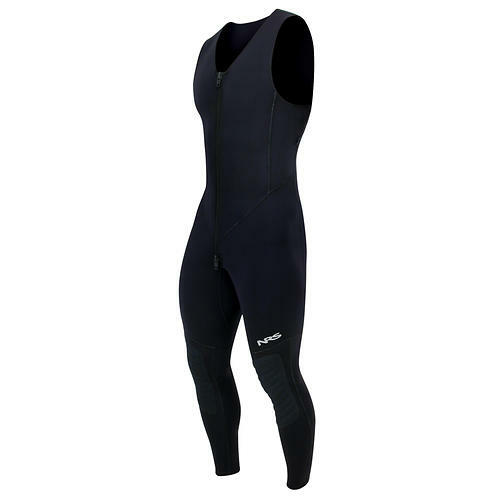 NRS Men's HydroSkin 0.5 Jacket - The NRS Men's HydroSkin 0.5 Jacket is the most versatile piece in the HydroSkin line. 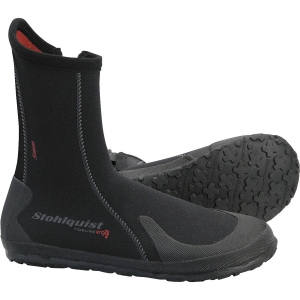 Constructed with thin neoprene for added insulation. Unzip for quick ventilation, or slip on over another layer for extra warmth, the HydroSkin Jacket lets you easily adapt to changing conditions. Paddle through fickle conditions in just-right comfort with the men's NRS HydroSkin 0.5 jacket. This versatile, lightweight immersible layer is made with a thin layer of neoprene for added insulation. 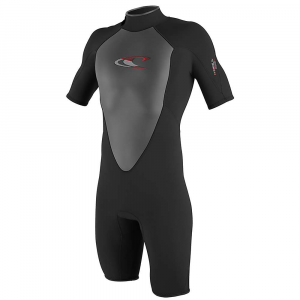 This lightweight men's .5mm wet suit jacket is the perfect solution for "in-between" days-offering just the right amount of warm protection from cool wind and cold water. 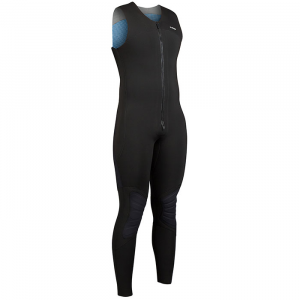 HydroSkin garments are meant to fit snugly next to the skin, similar to a wet suit. Snug fit allows for efficient performance and layering. Durable water-repellent coating causes water to bead up and fall off. Four-way-stretch PowerSpan outer layer enhances mobility and provides excellent durability. Superthin 0.5 mm Terrapene neoprene layer adds insulation. 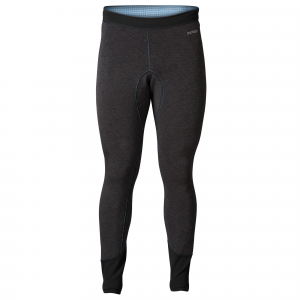 Made with titanium particles that reflect body heat inward for greater warmth. ThermalPlush polyester cropped-fleece inner layer is soft and quick-dry. Spandex underarm gussets provide outstanding freedom of movement and help prevent chafing. Flatlock stitching adds durability and prevents chafing. Handwash, line dry. Imported. The NRS Men's HydroSkin 0.5 Jacket is stretchy, comfortable, and provides just the right amount of warmth for cool days and chilly waters without feeling bulky or restrictive.. . . . Convenient front-entry zipper allows for easy on/off as conditions change throughout the day. 0.5 mm Terraprene neoprene with heat-reflecting titanium cuts the chill on cool days. Four-way stretch PowerSpan exterior allows unrestricted movement; soft ThermalPlush lining feels great against your skin. Spandex fabric under the arms creates friction-free zones for comfortable paddling and improves ventilation. Paddler-specific design allows unrestricted freedom of movement. Flatlock seams help prevent chafing. DWR (Durable Water Repellent) exterior coating sheds water to help reduce evaporative cooling.